Thanks to Tom Edwards for this pic of the booklet for the third test in the New South Wales versus Queensland Primary Schools test. It was held on the 21st July 1979. Brian Rossetta: I was a touch judge for this game with Tom Spain the referee. The NSW Primary team came back the next year and played a trial game against the Tumut Under 13’s (I was the referee for that game). 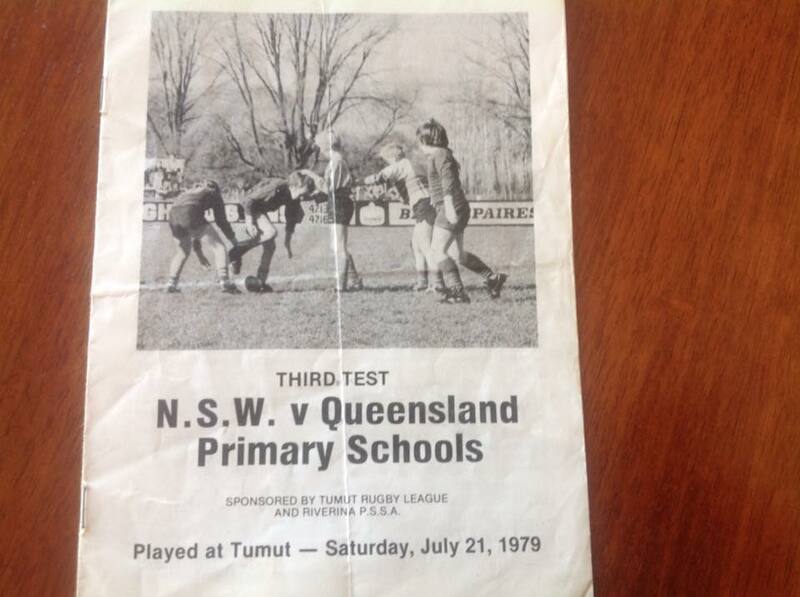 I am not sure, but believe Tom Ellis (who was Principal at Franklin School at that time) played a major role in getting the NSW v Qld game played in Tumut. Michael Madigan: Mark Geyer played on the wing for NSW. The Queensland side was full of future Australian and State of Origin players. I’m not sure if Steve Renouf was one.